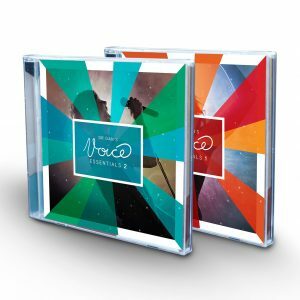 Learn to sing with an internationally recognised Contemporary Singing Voice Specialist online…all in the comfort of your own home! Dr Dan offers a range of learning packages (1, 3 or 5 sessions) to International students. 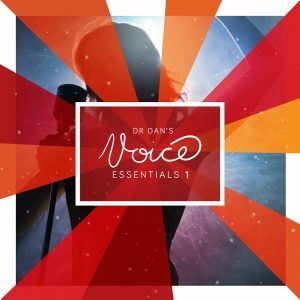 And, as an added BONUS, every new student who purchases their online session(s) with Dr Dan will receive a FREE download of his exercise CD, Dr Dan’s Voice Essentials (rrp. $24.95)! Check Dr Dan’s available session times here – https://drdan.co/bookonlinesessiontime. Read more about Dr Dan’s comprehensive singing lessons here or learn more in the ‘product description’ below. You might also be interested in Dr Dan’s self-directed online course. Many singing lessons are built around ‘learning a song’. But Dr Dan works differently. It’s not Dr Dan’s job to teach you songs (you can do that at home on PlayStation or YouTube). This means building and training your voice from the ‘ground-up’. Dr Dan’s lessons are technically focused and equip your voice to sing a range of songs–not just the ones we sing in lessons. Yes, we do work on style and song interpretation (inc. phrasing & vocal effects); but importantly these are built onto a firm foundation of technical development. Dr Dan’s sessions are not for the faint-hearted. Developing the voice for the rigours of contemporary vocals requires dedication, discipline and a willingness to learn. A highly rewarding journey awaits those who choose to engage in this innovative approach to singing tuition. Calling on more than 10 years of academic research, nearly 20 years of teaching experience and 25 years of professional performance, Dr Dan has designed a learning pathway that is both comprehensive & intuitive. Learn more about the comprehensive singing lesson pathway offered by Dr Dan and Djarts here. It is important to note that all lessons are conducted using Dr Dan’s Voice Essentials singing exercises. 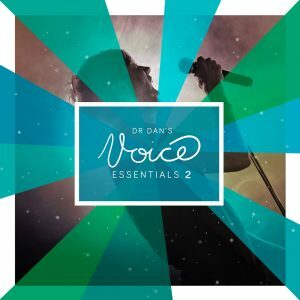 People wishing to receive lessons with Dr Dan online must also download the Dr Dan’s Voice Essentials (digital download) via our online store separately. A free download coupon is provided to every student once their online sessions have been purchased. Check Dr Dan’s available session times here – https://drdan.co/bookonlinesessiontime. Be sure to check your location’s time against Australian Eastern Standard Time here. Once you’ve checked your country’s times against Dr Dan’s teaching hours (listed above), choose how many sessions you would like to purchase (1/3/5) and proceed to the checkout. When we receive your payment you will be provided with an online booking link. The link will enable you to pick a time that best suits you in your timezone. If you chose to purchase the bulk options (3 or 5 sessions) then your lessons will typically be offered either weekly or fortnightly following the first session (same time of day as first lesson: e.g. 1pm Wed weekly or 4pm Tues fortnightly). If you would like further information don’t hesitate to contact us. These online sessions are not offered to people living in Australia. For more information regarding Internet lessons for Australian residents go here. The online sessions are presented through Zoom; similar to Skype, but much more reliable! For more information about Zoom, click here. Please note that all lessons are presented in English. Online lessons are only offered to students 18 years and over. 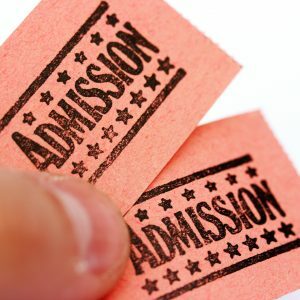 Twenty-four (24) hours notice is required to cancel an appointment without the client being charged for the appointment. Appointments missed through the clients non-attendance will be charged for and a make-up lesson will not be offered. Where 24 hours notice is provided, a make-up session will be arranged. Clients recognise that Djarts and Dr Dan are not responsible for Internet lag due to Internet Traffic conditions and, accordingly, clients do not hold Djarts or Dr Dan responsible for lost time during lesson due to such conditions. 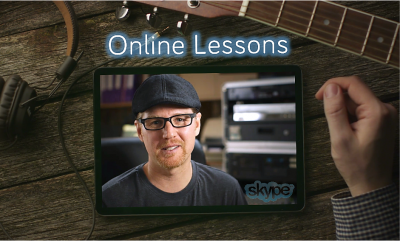 Online Lessons may be conducted as either a ‘video’ lesson (primarily) or ’voice only’ lesson (secondary backup) depending upon connectivity and speed of the Internet connection. A decision to conduct ’voice only’ Internet lessons is made in discussion between Dr Dan and the client where the situation warrants the change. Clients must have a working Webcam and external microphone attached to the computer that they are accessing the online lessons through. 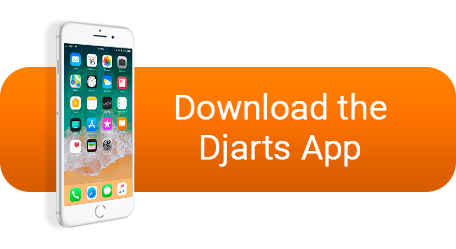 Clients acknowledge and accept the conditions as outlined above when they purchase Online Singing Lessons with Dr Dan from Djarts. My voice lesson with Dr. Dan was on of the best I’ve had. We talked a lot about vocal anatomy, which I appreciated. After just 1 lesson I’ve noticed a remarkable difference in my overall tone and a noticeable decrease in the amount of vocal strain I experience. I’ve done several lessons with Dr. Dan now and have noticed remarkable advancements in my voice. Since our time together there has been an increase in my vocal range, stamina, and overall health. Dan has also been a critical mentor in the current season of life and that has been well worth the investment. I don’t know many teachers like him. He doesn’t major on a “method” but tailors his teaching to each voice he comes in contact with, as he believes each voice is unique. He does this without compromising the foundational techinques of his current research. I can’t emphasize enough the benefits that singers will reap from investing in lessons with Dr. Dan. Invest in your voice for the long haul. Learn to sing properly for the years ahead! Dr. Dan will help you get there! I came across Dr DAN’s videos on youtube and i instantly knew that i want to contact him. As i thought, i discovered a very kind and professional teacher with an enormous knowledge about the human voice and how to use it right. As a singer with some challenging issues in my vocal cords, i feel Dr Dan’s is very sensitive during our work together and i truly trust his experience and knowledge. Dr. Dan’s voice lesson were straight to the point, while answering any questions I may have had. His knowledge of the voice and the way it interacts with the body is second to to none. By far the most professional vocal instructor I have worked with. Also, his tech set up is the best in the biz. For this reason I have booked 5 lessons at one time. Dr Dan is the real deal!